Joshua Sobol was born in Israel in 1939. He graduated in philosophy at the Sorbonne in Paris. A leading Hebrew playwright, Sobol has been artistic director of the Haifa Theater; he has also taught esthetics and directed theater workshops at Tel Aviv University as well as at various colleges. 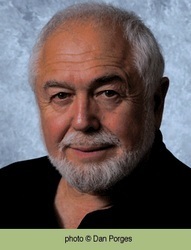 Sobol has written over 60 plays, many of which have been performed in Europe and the USA to great critical acclaim. Soul of a Jew was performed at the Edinburgh, Berlin and Chicago Festivals and has been produced in Germany, Austria, Denmark, France, the USA and Russia. His play Ghetto won the London Critics' and the Evening Standard awards for Britain's Best Play of the Year in 1989, and has been staged in leading theaters worldwide. Witness was performed at the Heidelberg Theater Festival, 2005, and was produced at the Mark Taper Theater in Los Angeles. His polydrama Alma has been playing for the last 18 years in Austria, Italy, Portugal, USA, Germany and Israel. 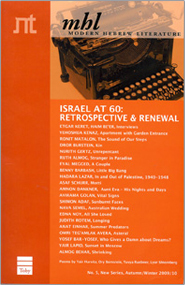 Sobol's novel Silence was nominated for the Sapir Literary award. In 2013 Sobol was awarded the Golden Medal of the City of Vienna in recognition of his long-standing theatrical innovation on the stages of Austria’s capital, and in 2014 he received the Culture Minister's Zionism Prize for Village.